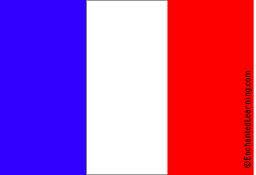 "France had signed a tax treaty with Switzerland in August 2009. Since then, France has sent 80 requests to Swiss authorities, but received a response for only 16 of these requests, said Pecresse." "Elements of a juridical nature (statutes, names of shareholders, business reports) were generally transmitted. However, the transmission of more concrete elements relative to taxpayers (information on bank balances, amounts of remuneration) often seem to have been more difficult, and some states seem to think that co-operation involves confirming information already known by the French authorities, rather than giving new information." So it seems clear, given the information given by the Minister, that the devide for exchanging information on request, put in place by the Global Forum on Transparency and Exchange of Information is not yet developed. And that backs non-governmental organisations' demands to move towards automatic information of information. If tax havens continue to hold back information, the Minister and the Rapporteur indicated, threatened, that they were ready to put recalcitrant jurisdictions on the French official list of tax havens (which today only contains small, rather unimportant territories) - which would mean that any transfer of money to these places would trigger a 50 percent withholding tax. Way to go, the French Budget Ministry! That makes two excellent pieces of news in one day. To be added to our fast-growing information exchange page.